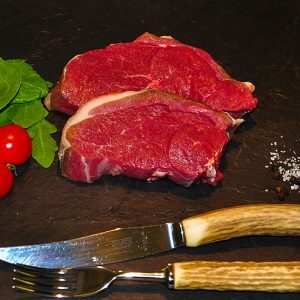 Noisettes are the rolled sirloin of lamb cut into medallians – essentially the equivalent of a boned and rolled chop! They are perfect for popping under the grill and of course have a great taste. 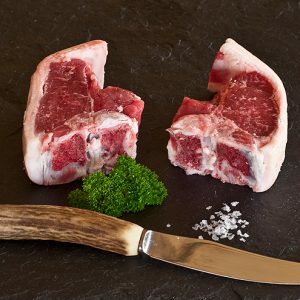 We use hill lamb from the local Loch Gorm farm where they produce the most fantastic lamb. Lamb noisettes with lemon and rosemary herb. Place the noisettes into a large shallow dish. Mix together 3 tbsp olive oil, rosemary, cider vinegar, and lemon zest and juice. Season and pour over the noisettes. Cover and refrigerate for 2-3 hours. 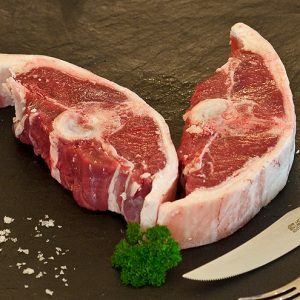 Preheat the oven to Gas Mark 6, 200°C, 400°F.Heat the remaining oil in a large pan, remove the lamb from the marinade (reserve for later) and sear for 2-3 minutes, turning once until brown on both side. Transfer to a hot roasting tin, add a little of the marinade mixture and cook for a further 8-10 minutes according to how pink you like your lamb. Arrange the noisettes onto a plate, garnish with extra rosemary and spoon over the juice from the roasting tin. Serve with sauté potatoes,peas, and carrots. The lamb noisettes were quite fatty but the taste of the lamb meat more than made up for that. It was exceptional. These are just fab! I cook them with rosemary like rodney above and some red wine, in butter. These were lovely and quick and simple to cook for a midweek meal.